The cancerous growth of ISIS across Syria and Iraq since 2014 both exacerbates and illuminates a series of changes in US-Middle East relations. The most crucial and obvious of these changes is to the relationships between the US and Iraq, Iran, Israel, Egypt, and Turkey. Kurdish YPG fighters in Kobane, Feb. 4, 2015. Image by Voice of America, wikimedia commons. The simplest case to review from the whirlwind of US foreign policy transformations is the relationship between the US and Iraq. When ISIS rolled into Iraq, the US-financed and Iraqi-led Iraqi Army collapsed anywhere ISIS appeared or threatened to appear. Only the lightly armed, poorly supplied Kurds halted the tide of ISIS terror. The much better armed, well-financed Iraqi Army proved to be an embarrassment to themselves and to the US administration that had overseen their creation. 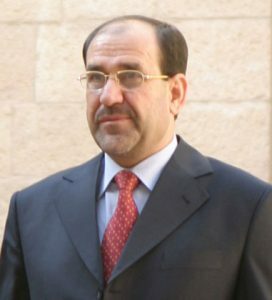 The US had, until then, pursued a policy of pretending that their extravagantly well-financed “friend,” Iraqi Prime Minister Nouri al Maliki, was capable of leading a democratic government in Iraq. He never was. Many observers had long felt that Maliki was not capable of leading anything other than a self-promotion campaign. Perhaps it was that particular resemblance to Western politicians that caused some in the US government to mistake Maliki as a functioning politician as opposed to a common circus clown. Image by US government, public domain. The collapse of the Iraqi Army leadership in response to the ISIS invasion forced the US to stop pretending that Maliki was anything like a “leader.” At the urging of the US, Iraq formed a new government with the less laughable and more pragmatic Haider al-Abadi taking the lead as Prime Minister. Students of world history will undoubtedly wonder what “US urging” looked like in this case. Was it something dark, complex, and difficult? Did it involve secret assassinations or long propaganda campaigns? No, and no. The US simply explained that without changes, next month’s check would not be arriving. Rather than expose himself to the justifiable wrath that would soon be unleashed on him by the people of Iraq, Maliki took the pro-Maliki option and stepped down. Under new leadership, the Iraqi military is beginning to resemble a real military, and it appears that, with the assistance of the Kurds and US air support, it will begin to push ISIS out of Iraq. Whether or not this or any future US administration will have learned any long term lessons from the fantastically expensive Maliki debacle remains to be seen. Obama quote, Feb 9, 2015, joint news conference with German Chancellor Angela Merkel. Image by Gage Skidmore, wikimedia commons. A less straightforward and more mystifying case can be seen in changing relations between the US and Iran. As near as rational observers can determine, based on the information thus far available, the change has been minimal. Previously, US-Iran relations were a case of the US completely distrusting Iran and worrying about its efforts to obtain nuclear weapons, but not doing much about it. In return, Iran responded by pretending to not want nuclear weapons while continuing to pretend to love or hate the rest of the world depending on the time of day. In particular, Iran vacillates between claiming that it is no threat to Israel and claiming that it will annihilate Israel, Zionists, and those that sympathize with Zionists. Iran has not budged an inch from its decades of anti-Western/anti-Israel policies, yet the US is now oddly pretending to trust Iran. Iranian Shia Revolutionary Guards are now operating openly in Iraq with US acquiescence, and the White House now seems convinced that Iran isn’t really developing nuclear weapons after all. This one-sided rapprochement with Iran seems to be an unwise change in US foreign policy. That leads us to another simple case: US-Israel relations. The US government’s increasing friendliness toward Iran and the Israeli perception that the US has gone soft on terrorist groups like Hamas and Hezbollah has complicated relations between the two allies. To understand the US alliance with Israel, one must pragmatically ignore personal sympathies and admit that the relationship has been rather one-sided for over half a century. Image from US National Archives, public domain. Confident of continued US financial and military support, Israel has never made much effort to consider US interests in the region when making foreign policy decisions. Israel has only been able to do this because successive US administrations consistently allowed it. 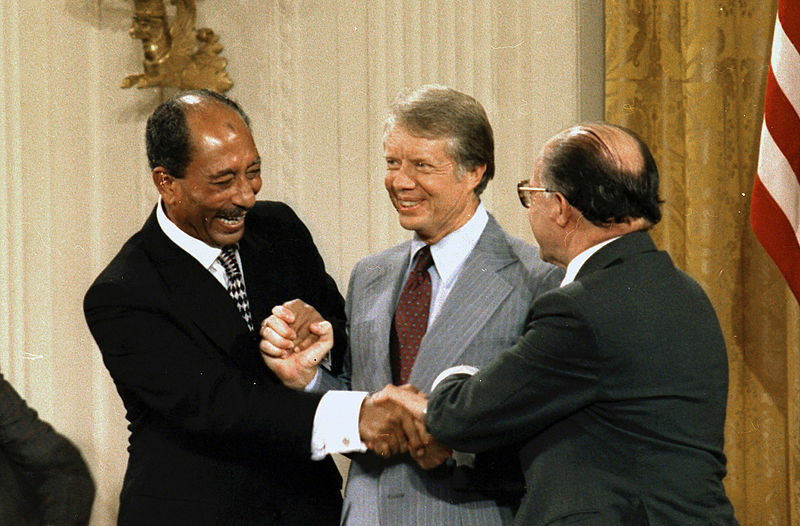 The one major instance of Israel acceding to US pressure was the Camp David Accords. The result of the Accords has been of mixed value from Israel’s point of view. Israel now enjoys better relations with Egypt and Jordan, but Syria, the Palestinians, and Iranian-controlled Hezbollah remain at war with it. From the US point of view, it often seems like we should expect more cooperation from Israel. From the Israeli point of view, it often seems like trusting in US idealism will lead to the death of Israel. In practical terms, the current tension in US-Israel relations changes almost nothing. It likely will require a change of US administration before US-Israel relations improve, and there is no guarantee that the next administration will seek closer relations with Israel. In the meantime, the US will continue to send the checks. One if the more complex foreign policy cases in the Middle East is that of US-Egypt relations. Egyptian Protestors, Tahrir Square, November, 2011. Image by Lilian Wagdy, wikimedia commons. In 2012, the Muslim Brotherhood won elections in Egypt, and Mohammed Morsi became the president. Morsi then quickly forgot his centrist moderate views and proceeded to try to consolidate power in his office while moving Egypt toward an Islamic theocracy. Many believed the elections were rigged, and As Morsi became more theocratic, many of his own supporters felt betrayed. In 2013, Morsi was removed from office by the Egyptian military. Although he and his radical supporters had clearly lost the support of much of the membership of the Muslim Brotherhood and the rest of Egypt, the US reacted negatively to what they considered a coup. As required by US law, coups prevent any US aid from continuing. The rule is often ignored. In the case of Egypt, the administration wavered, and most of the military and other financial aid to Egypt continued. Nonetheless, the US response to the Egyptian military’s removal of Morsi aggravated the Egyptian military and many civilians. From their point of view, they had saved Egypt from becoming the “next Iran.” Morsi had been positioning himself as increasingly anti-West, anti-US, and anti-Saudi, so most Egyptians expected the US to be glad for Morsi’s removal. Image from Voice of America, July 7, 2013, public domain. In 2014, military leader Abdul al-Sisi won the presidential election. In theory, US-Egypt relations became simpler again with democracy appearing to be functioning in Egypt. The US was happy to have the sticking points gone from US foreign aid, but al-Sisi now has little confidence in his friendship with the US. One obvious and interesting symptom of the cooling of US-Egypt relations is that Egypt has signed an agreement with France for the purchaser of French-made fighters. Anyone in the US government that happens to be awake this week might ask why, at a time when US unemployment is so high, US tax dollars are going to purchase French-made fighters for the Egyptian Air Force. 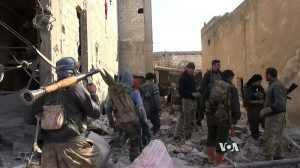 At the same time, Egypt has now joined in in the fight against ISIS, though they have been clear that they are operating on their own and not as a part of a US coalition. As in the case of Israel, it will likely require a new US administration for US-Egypt relations to improve. Whether or not the next US administration will develop better relations with Egypt or wish to continue foreign aid to Egypt remains to be seen. Next week in Part Two, we will look at the changing relationship of the US and Turkey. As much as I appreciate your analyses, Jay, I think any discussion involving Israel should start with recognition of the fact that this nation is in daily peril from its Islamic neighbors and MUST base policy decisions on defending itself against that threat. One of the ways in which Israel has supported our foreign policy is by refraining from entering the Gulf War, the Iraq War and the Afghan War. Israel knows that entering such wars as our allies would endanger our relations with whatever Islamic allies we have – or think we have. Hi David. Israel is definitely influenced by their life in a war zone. That said there have been times when Israel has acted against the USA without self defense as an explanation.